When you’re told that you are going to die, the only choice to make is to try and live. It was early evening on a sunny June night in Kelowna, British Columbia. The large window in my sixth-floor hospital room gave way to a beautiful view of the 80-mile Lake Okanagan and surrounding mountains. I was awake, alert, in spite of suffering from an unknown cause. For two months, I had been pleading with doctors to investigate the “something” askew in my abdominal area – something that had kept me from being able to properly digest food. At it’s peak, I had fifty pounds of fluid build in my abdomen and nothing but skin and bone to the rest of my body. Doctors were stumped, treating only my symptoms and leaning on the assumption that my having lupus was the only explanation for what was going on…even if I pleaded that this was not the case. Weeks had gone on, in and out of hospital, without answers. I required special nourishment, IV treatments and blood transfusions. The shock to my body had led to the rapid loss of my hair, my organs quickly weakening and the inability to steadily walk more than a few shuffled paces. On that sunny night in June, long after my team of doctors had left for the day, my nephrologist had come into the room. She dressed like a fairy and operated like a lone wolf, always coming in separately from the team of specialists. As she walked past the hospital bed where I lay wide away, she faced my mother, who was seated in the corner chair by the window. “Your daughter is going to die,” she said. As she approached the foot of my bed to expand upon her statement, I remember simply asking her to leave. It had been extremely difficult to find the strength to speak or hold a conversation in my state of severe malnourishment and weakness…though when that doctor left the room, I found it within me to do what any odd-defying, death-defying, stubbornly-determined person would do: I mustered up the strength to laugh. In the split second between hearing the doctor’s words and the formulation of my response, I made a choice. She was willing to give up on me, though I was not. I chose to defy the odds, think outside the box…and live. In that moment, I chose not only to recover, but to thrive beyond illness by using the experience as fuel for my contribution to humanity – one whose impact could reach far beyond the cold grey walls of that hospital room. Within a few weeks, I sold everything and flew across the country with the support of family and friends (in no shape to be doing so), in order to work with a team of doctors I trusted. Within 10 minutes of seeing a specialist there, he professed that I was dealing with a blood clot. 10 minutes, and he was right – I had a large clot in my IVC, the main abdominal vein. Sadly, this wasn’t my first rodeo when it came to life-threatening illness. The thing with riding a bull, so to speak, is that you learn how to stay the course – how to not get bucked off. You feel the ebb and flow, like riding the waves of the ocean. You learn when to flow with them and when to push against the tide. The only thing we ever really have control over are our choices. We choose how we see, experience and direct life. The neuroscience of choice is complex and continues to be challenged, as shown in the Neuroscience News article “Do We Really Have a Choice?” The report related to a study by two Tübingen neuroscientists that challenges the theory of having a division between deciding and responding to a stimulus stating that the higher brain and motor brain both play a part in the decision-making process. What remains consist is the fact that we have this split second – a space between stimulus and response – in every moment where there is choice. We get to choose how we think, what we do, where we live, how we dedicate our time and contribute our passions, how we interact and who we build relationships with, how we treat ourselves and others, and how we respond to situations. When we really think about it, nearly everything in life is a choice, on either a conscious or subconscious level; and no matter what we face, we always have the choice as to how we respond. While we often wish to consider the wellbeing and opinions of the people closest to us, we have full power to chose embrace or shun our reality – to alter it or leave it be. When we feel as though life has hit us with expected or unexpected challenge, the perspective we take, the outcome and future state of our lives is ours to direct. We have only one leading beat to follow: the beat of our own drum. Stay in Your Lane – We have no control over what others think, say and do. How quickly we forget that when we want what’s best for others or for ourselves. For our well-being and that of others, it is imperative that we stay in our own lane, play our own game and let others be as they are. While it is everything to have empathy and account for the needs and feelings of others, we also have to be willing to let go and let others be who they are and do as they do…even if it hurts to do so. This is our ultimate choice.When the doctor stood in my room and told my mother that I was going to die (in front of me, as I lay there fully conscious), that was her choice. Wisdom had granted me the gift of not accepting her words at face value. That didn’t mean that I didn’t want to shake her and ask her how the heck she could be willing to be so hopeless and simply give up on me because she didn’t have answers. That didn’t mean that I didn’t want to ask her how she could operate with so little compassion (after months of neglecting my pleas of something going wrong in my abdomen). My energy was limited, and I knew it was best used for good – for advancing my healing. In every moment of every day, “The Pause” is our place of possibility – the helm from which you direct the course of your life. While we don’t always consciously choose our circumstances, we always have the choice as to how we respond to them. All that is required is the awareness of just how much of each year, month, week, day and moment consists of choices. While a long-term or infinite perspective can have its place in life, sometimes seeing a more finite nature of things can be beneficial. If we only have so much room in our mind for thoughts and so much energy to exert in a day, we are forced to be more conscious about our choices. Choose everything you think, say and do wisely…your life could depend on it. See the Big Picture – Being an observer of the big picture means seeing and living beyond the limited scope of our often-all-too-narrow focus and adapting outside the box thinking. Doing so is no easy feat when we are seated in the thick of great challenge or adversity. pain to see the big picture of possibility. How do we gain a clear perspective of both what is and what can be? 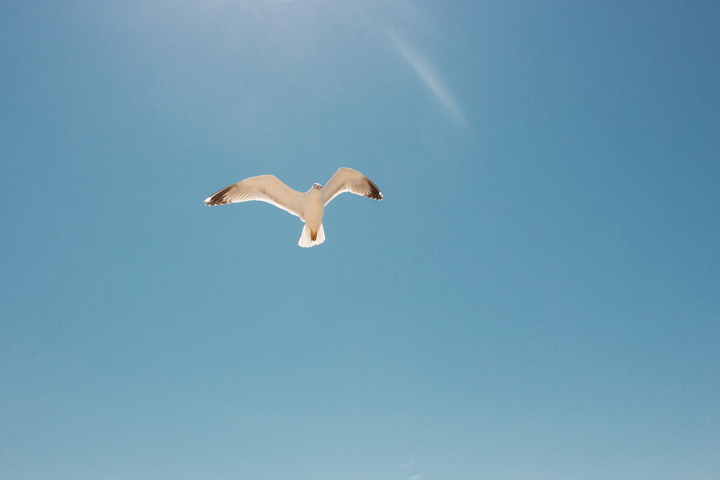 When interviewed or asked about my experiences and personal transformation, I often describe the viewpoint we have on life when you face death as one of the “big picture” – as if having bird’s eye view of everything and everyone. You know how you step back and watch others, as if seated on a park bench observing passers by? It’s like that. Simultaneously, you step back and look at the entirety of all that is from an objective perspective. Sometimes, when we are swept into the throws of adversity, this stepping back happens naturally, as if being drawn away from our current reality in order to see it anew. The visual gained is one of clarity – of what really matters and what really doesn’t. You see things are they are and as they can be. It’s what has been called a bird’s eye view. What does it mean to have a bird’s eye view? Overall, taking or having a bird’s eye perspective is related to perception, the process of knowing and a conscious observation with the intention of objectivity and clarity. It’s a means of seeing the big picture and small details simultaneously. It can be one of the most powerful tools to gaining clarity of ourselves and our circumstances, thereby allowing us to see potential and the steps required to make that vision our reality. See the options available and think outside the box. With the help of loved ones, my sights opened up to options beyond the city I was in (staying and choosing death didn’t seem like a great option). Without the physical capacity to be doing so, I managed to fly across the country, to a specialist who diagnosed me with a blood clot within 10 minutes. Appreciate the support you have. Stepping back allows us to develop gratitude. Where would we be without those you are there for us through the twists and turns? It was only due to those who held me up that I was able to regain the strength the walk and thrive once again. See possibility. When we can gain a perspective that shows us all of the “moving parts,” it become easier to see how they fit together and the steps we need to take to make that possibility a reality. A bird’s eye view is like looking at a map, where we are able to identify the intersection of possibility and reality, and know how to get there (no matter how small and laborious our steps may be at a given point in time). For someone who spent 20 years of my life running long-distance, having to learn to walk again was a humbling experience. When I took a moment to assess my past strength, I could plot a course from baby steps to running once again. It took doctors a month of tests to source the clot while I lay in hospital; and It took time and strength where my willpower overruled my circumstances…though bit-by-bit, month-by-month, I regained my strength. Within six months, I was back to thriving: walking, biking and jogging miles a day, traveling and working with clients across the world in a business I loved. Defy Rather than Justify – Life is going to happen, regardless of how much we do “right” or “by the book.” This is our journey, our story. Like a novel, if there were no real plot, no antagonist, no adversity, no climax and no resolution; then it would indeed be very dry and uneventful. We’re all trying to navigate the changes, challenges and uncertainty of our modern world, while attempting to balance all facets of personal and professional lives – like a circus clown trying to maneuver a unicycle through a series of obstacles, while juggle multiple bowling pins in the air. Regardless of how much things feel “out of control,” there are always choices we can make. In particular, when facing great change, challenge or adversity, we can choose rather we defy or justify. One is limiting, the other expansive. I am alive because I chose to defy. Years ago, I was told that because of my having lupus, I would never have more than 2 to 3 good waking hours a day. That wasn’t a sentence that I wanted to accept – the opportunities of life were waiting for me, and I wanted full days to enjoy them. With the support of holistic practitioners, I build my vitality to thrive in a full life, with 16 productive, fulfilling waking hours a day. Next time you make a statement about what are you or are not able to do, stop and question yourself. Is this truly the case? Are you choosing to defy or justify? While I’m not suggesting we create a society of utter rebels, I am suggesting that we become very conscious of when we are given circumstances or odds that are meant to be defied – odds that are really just opportunity in disguise…opportunity to show ourselves and others what we are truly made of. Choose to defy; you’ll inspire others more than you know. Odds are really just opportunities in disguise. Whatever this journey of life brings your way, remember that you always choose what you bring to life. Choose to bring your best – to stay in your lane, to frequently take a step back and to defy the odds when beneficial. The Bird’s Eye View blog is dedicated to taking a big-picture perspective on our lives and about sharing various perspectives on the circumstances and experiences we find ourselves in, personally and professionally…because in the end, what matters most is that we’ve lived, loved, learned and contributed something of value that changes lives for the better. 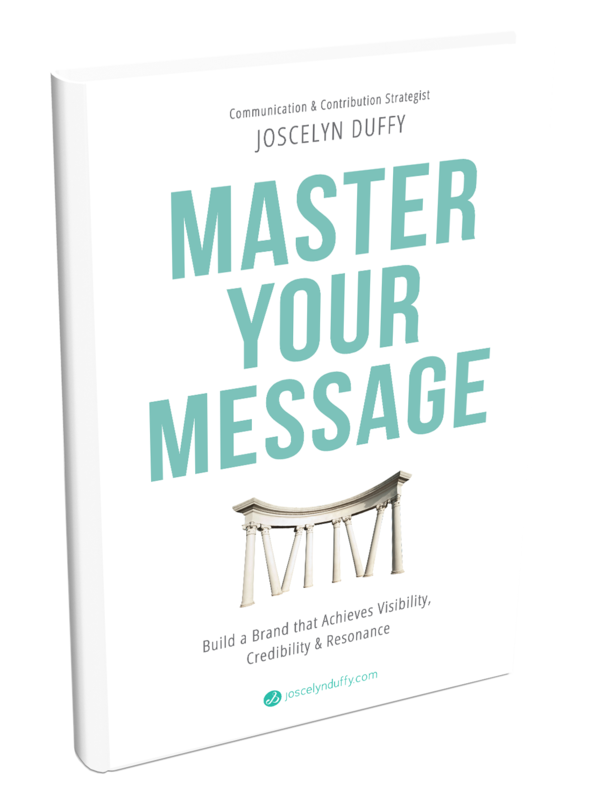 For 5 Steps to sharing your unique value with others, click HERE to get your FREE copy of Communicating Value: 5 Steps to Increasing Long-Term Visibility and Viability in Your Business.